World Card Making Day – 12:00 noon – Interactive hour! Thank you for joining us this hour as we share an interactive card with Jen Gallacher! "I love cards that have special movements, hidden items, or creative folds. They make the card more interactive for the recipient. For this card, I wanted to hide away a special message for my friend. Here's a look at the card. Can you spot where the hidden message is located? Use letter stamps and green stamping ink to stamp the word "open" on a small white tag. 2. Attach the tag to the top of an envelope (the flap). 3. Use the same green ink to stamp a message (or handwrite one) on tag that fits inside the pocket. 4. Place the tag inside the pocket and close the pocket. 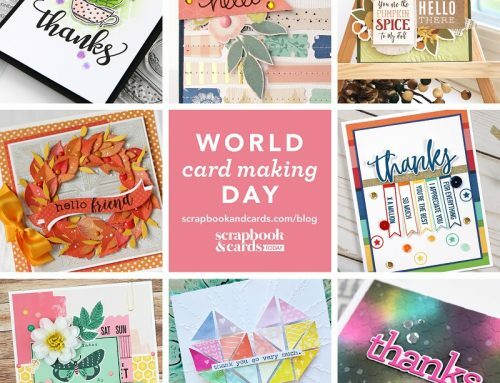 Kelly, being the sweet girl she is, would love to celebrate World Card Making Day with us and send all the stamps and dies she used to create these cards to one SCT reader today! Thank you Lawn Fawn celebrating with us, sharing a video and an amazing prize! For an opportunity to win this hour's prize package be sure to leave a comment below by October 8th! A winner will be chosen randomly and announced on October 10th! Good luck! 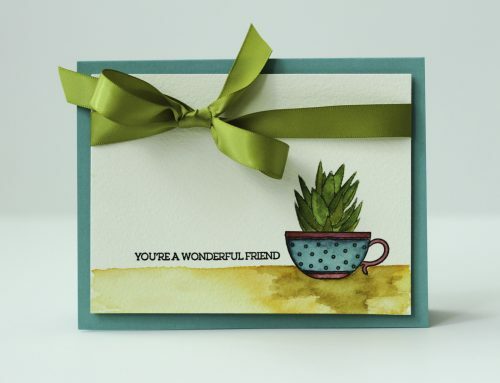 Please also take a minute to join our friends at Lawn Fawn for their World Card Making Day celebrations and leave a little note on their Facebook page too! Next at 2:00 pm: 1 stamp 3 ways! What a wonderfully creative way to give a card to your friend. Love how interactive it is! Thank you so much for sharing Lawn Fawn’s amazing products. Their cards and products are the best! Lawn Fawn makes me smile! Would love to win the prize pack! I ? the shaker card!!! I absolutely love Lawn Fawn. So adorable!! Such a fun card! Love hiding messages! Lawn Fawn products bring a smile to my face every time!! I love the fairy friends!! Thank you Fairy much. Wonderful magical ideas. Interactive cards are so much fun, and shaker cards are my current obsession. Lawn Fawn products always make me smile. Thank you. love the tag with hidden message on the card, so special! Very clever and cute designs. Ooh, I love this Lawn Fawn stamp set! The cards are gorgeous and so much fun!! I love your card…ones with special messages or hidden aspects always have that extra layer of fun! 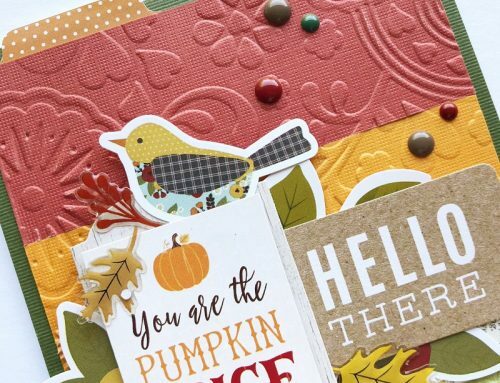 Lawn Fawn always has such an amazing array of stamps and dies and their designers are fabulous! thanks for the chance to win! I also love Lawn Fawn. Thanks for the chance to win such a fabulous giveaway. I love how the plaid papers really make the cards pop. So adore Lawn Fawn’s dies and stamps – this set is so cute! Those Lawn Fawn cards are just adorable! I am loving that pop-up hillside die. What an easy way to make dimensional cards. Love the little hidden items!!! Cute new stamp and die set! Really clever! I can see them in so many different colors and for many different occasions!!! The hidden message card in such a fabulous idea to give someone a personalized message on the card that will inspire them. The inspiration of the pocket has sparked my creativity thank you so much SCT! Love Lawn Fawn! The stamps are so wonderful! Love the shaker card! Love the hidden message card!! THe Frosty Fairy Friends set has been on my wish list since it was released! WOuld adore winning it!! Fingers crossed! TFS! 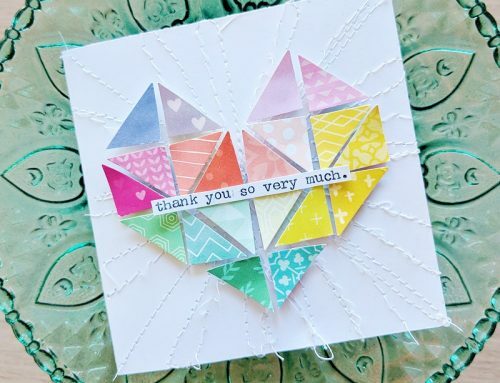 Love the hidden message card (I do that in my scrapbooking all the time!). So pretty! And Lawn Fawn has such amazing products – thanks for the chance to win all these goodies. That is such a cute card. I am a big fan of making interactive cards. They make them extra special. Love the quote on the hidden message. The shaker card is just so sweet! Love their stamps and the dies. I love envisioning having numerous Lawn Fawn stamps and dies because they are all so adorable! Love how these were used for Holiday cards! Such cute cards , especially the one with the blue + purple combination is out of the world . The scalloped border is adorable . Here where I live it doesn’t snow . But would sure love to make one such card for myself for the dull cold days !! These cards are awesome! Will definitely make the “hidden message” card today! Great cards! Super cute stamp and die set! WOW! WOW! WOW! These cards are totally awesome. I love what Kelly has created using Lawn Fawn’s Frosted Fairy Friends. the stamps and dies are really really cute. The cards are beautiful and the shaker card is so cute not to mention the pop up card. Just amazing. What talent. Thank you. Great idea to hide the hidden message in the front envelope! Love that! Beautiful stamps from Lawn Fawn would be a wonderful prize to win!! Thanks for the chance! Lawn Fawn always have the cutest stamps. Love the idea of a secret message on a card – very special! And, of course, the Lawn Fawn elements are adorable as usual! wow, totally sparkly and awesome !!! Magical products from Lawn Fawn! Aww! Kelly is so super sweet and so are all of her darling cards!!! I love Lawn Fawn!! Thanks for sharing the great inspiration and giveaway! Loving the Stitched Hillside Pop-Up dies. Thanks for sharing. These cards were so cute, thinking what fun they would be for my daughter-in-laws day care children. Know they would love them. I love the Lawn Fawn products I own..especially their die cuts. What a fun and adorable stamp set! Neat cards, too! Love the “secret note card” and the fun video by Lawn Fawn. Thanks for all the fun. I love the whimsical fairy cards! Love Lawn Fawn-they are my favorite! Thanks for the chance to win! thanks for the inspiration!! Love Lawn Fawn, thanks for the wonderful giveaways. These are so wonderful! Thanks Lawn Fawn for a great prize! i have been eyeing the Frosted Fairy Friends set since it was released! Thank you for showing us the different ways to utilize this! Jen’s card is wonderful, and WOW on the Lawn Fawn products to make this cute card! Thanks for the chance to win on this WCMD! Oh what fun cards! Thank you LF for the prize chance. Love that there’s a video for us to follow along! Thanks for the great instruction!!!!! I really like those Lawn dawn stamps and dies! thanks for the chance to win! Love the cute fairy cards! My eldest granddaughter is turning 16 in a few weeks and this is a cute idea for a card for her. Love the Lawn Fawn stamps and dies too. Awesome, super sweet cards. This would be a fabulous prize to win! Love interactive cards and Lawn Fawn! One of my favorites… such fun designs! Awesome projects!! I am loving interactive features on cards and the tags with hidden messages are super fabulous! Lawn Fawn’s scenes are just amazing and Kelly is super generous and talented!! Adore Lawn Fawn! The video was amazing with so much inspiration! Makes me want to go create! Thanks for the opportunity to win. Oh I love this interactive card! Awesome interactive card with the little note! I’m going to case this for sure LOL! Thanks Lawn Fawn for the awesome chance to win this coveted Fairy winter collection! I love interactive cards also! Thanks for sharing your creative ideas. I would love to win some goodies from Lawn Fawn…they have some of the cutest products out there! Lawn Fawn stamps are so just fun. I would love to have this stamp and matchig die set. I make a lot of cards for children. That is one amazing creation – sure to warm the heart of a little someone. Lawn Fawn stamps are awesome and this particular stamp and die set is so wonderful for creating winter scenes. The card is just fabulous! Love the color combo of these cards! My daughter is in love with faries right now so this stamp set would get a lot of use in our house! Love the pop up die.cute card.winning would be awesome. I love Lawn Fawn.These cards are so cute. Thanks for the chance to win. Adorable cards! Thanks for great ideas! Just love all the layered goodness of the I’ll fly away card and the Fairy cards are so adorable- love the color combos! Thank you for sharing! OMG! Lawn Fawn has out done themselves again! Just love them! Wow, those cards are all amazing! I want to get started on my Christmas cards and interactive cards are my all time favorite to make! I love making shaker cards and what a great scene for it! I’d love to have those stamps and dies! I love that pop up die. It’s fabulous and the card is so cute. I love so many elements of that interactive card and of course Lawn Fawn never disappoints! Love all the shades of yellow in the card along with the hidden message! So creative! Thanks Lawn Fawn for the fun giveaway! It looks fabulous! these little snow fairies are so stinkin cute!! love the card inspiration and the whole interactive craze is something I would love to try out!! What lovely projects from Lawn Fawn. I just love the shaker card. Loved the video. Such an amazing prize, I just adore those cute fairies. I’m just learning to make some fun interactive cards and my family and friends think they’re great. Thanks for the inspiration and tutorials. Nice idea of hidden meaaage in the card. Love Lawm Fawn products. Have to confess I don’t own any. This has been a great day full of ideas and inspiration. Love that card with the hidden message….great tutorial also. Thanks for the chance to win the Lawn Fawn prize. I love Lawn Fawn! Interactive cards are so fun! Love the mini envelope! Love Lawn Fawn- super cute cards! Thanks for the great day!!! Oh my gosh, I love Lawn Fawn and all their critters and creatures! Those cards are just wonderful! Thank you for all the inspiration. Great cards and adorable prize! Thanks for the chance to win! These cards are outstanding and so pretty! I of course love the adorable products used on the lawn fawn cards! Thank you for a chance to win! These are adorable! And the cards are all so cute. Thanks for the chance to win. The house and lights are adorable! How cute are these cards?! thanks for the video! I love this fold out hills die! I’ve been seeing it used on so many blogs and I’d love to win it. Such cute cards with the fairies. They work so well with the shaker sequins! Love it! Lovely Lawn Fawn cards! The die for the stand-up hills is so clever! Wow! The cards Kelly made using the Lawn Fawn stamps and dies are adorable. What fun! I would love to win these stamps. So cute! Such cute interactive cards. Lawn Fawn has some adorable sets. Thank you for a chance to win. Love Lawn Fawn. They are adorable. Thanksgiving for the opportunity to win. Interactive cards are awesome!!! Lawn Fawn’s dies and stamps are simply stunning!!! adore the interactive card and Lawn Fawn products! thanks! I love interactive cards but never seem to make many. The Lawn Fawn Fairy’s are adorable! I love Lawn Fawn stamps and die cuts. I’m new to interactive cards and lots of inspiring ideas here. So glad you have the matching dies to match those small stamps. I will try this. Love the interactive cards, what a nice way to brighten someone’s day. And how can you go wrong with anything from Lawn Fawn??? Thanks for opportunity to win! Fun cards, thanks for the chance! Wonderful update to the fairies! Thanks for the chance to win. And for the great ideas! Love Jennifer’s card– it is exactly her style (read: beautiful) and a great way to include a personal note for the recipient. And those fairies are cuter than cute! Pop-up anything (books, cards) — a favorite with our family! Beautiful project! Amazing giveaway! Thanks so much for a chance to win! I can’t get enough of Lawn Fawn! Thanks so much for all the card inspiration today! These are so very adorable! Thanks for sharing the designs! I love the Lawn Fawn stamps and dies. I also love the shaker card. Love the interactive cards!! And the Lawn Fawn set is so cute!! Perfect set for my fairy garden loving daughter! Love Lawn Fawn they have such cute products and papers. What a great card! Lawn Fawn is such an awesome company! Hello! Let me thank Lawn Fawn for this opportunity! Love your interactive cards. They are so fun! Interactive cards are so much fun and Lawn Fawn is the best! I have the Hillside pop-up die and have had a ball making different cards with it. I was really hoping to win this stamp set at #cropandcreate Cornwall. So happy to see I have a second chance at this Lawn Fawn set (from on of my fave stamp companies). Thanks Lawn Fawn for your support of SCT and Catherine’s events! Super cute stamp set as always! I’ve been a long time fan & LF never disappoints! Happy WCMD! Love the interactive ideas! The envelope with a message is wonderful, and the Lawn Fawn fairies such a treat. Thanks for sharing the great inspiration and giveaway! Love Lawn Fawn! Lawn Fawn does the best scenes. Love how a lot of their images can be used in various settings. All over the top designs! Kelly always makes such fun interactive cards! These fairies are a must have to anyone’s collection! Yes, please!!!! Those frosty fairies are so adorable, I must have them!!! Thanks so much Miss Kelli, for sponsoring! Such fun cards and shakers!! Ohh…these are so cute, love interactive cards! Cute! My daughter and I love making fairy gardens outside and now we could make them in paper too! Wonderful hidden message and great Lawn Fawn cards. LF has such fun images! Oh! That hillside pop-up is soooo clever! Thanks for the opportunity to win. Lawn Fawn always has the cutest stamps and dies! These little Christmas fairies are adorable! Great cards, I really like to make interactive and dimensional cards. Thanks for the inspiration! I LOVE interactive cards and fancy folds!!! Love the hidden elements. And I love those adorable frosty fairy friends! I love Lawn Fawn and these cards and new products! Jen’s interactive cards is gorgeous! I would love to try this – it’s like an extra little surprise for the recipient! And I don’t know anyone who isn’t a fan of Lawn Fawn! These stamps and dies just make me happy! Love the cards showcased! Thank you to Lawn Fawn for the giveaway! The shaker card is beautiful! I absolutely LOVE Lawn Fawn and These Fairy Friends are just too cute! Love faries and would love to play with these. I, too, love all Lawn Fawn products! These interactive cards are so clever and cute! Lawn Fawn is one of my favorites! So sweet! <3 Always fun and playful! Oh my gosh! I so love these! I really enjoyed the tutorial. Thanks for the opportunity to win this great giveaway. Love Lawn Fawn! Thanks for the opportunity to add to my collection. I LOVE those Fabulous Frosty Fairy Friends!! So cute!!! Love the cards! Thank you Lawn Fawn! Love how interactive your card is! Thank you so much for sharing Lawn Fawn’s amazing products. Their cards and products are the best! I love Lawn Fawn! After admiring LF products for a while I finally got some stamps & dies. Now I am wondering what has taken me so long to get on this band wagon! Lawn Fawn is amazing!!! Love these fairies and that shaker card, so stinkin cute!!!! I love Lawn Fawn. I can always buy the die and stamp of something and do lots of things with the set. I love that most of them are small, they fit with lots of things I do. I love making cards and I love lawn fawn! Would be fantastic to win!!! Frosty Fairy — what a cute name and collection from Lawn Fawn. I know a little 5 yr old who would love to play with these stamps; she follows in her Momma’s crafting footsteps!! I love Jen’s card, all of her cards and instructions. I can see using the the little envelop on a LO too!! Thanks again for all of the inspiration and super giveaways!! 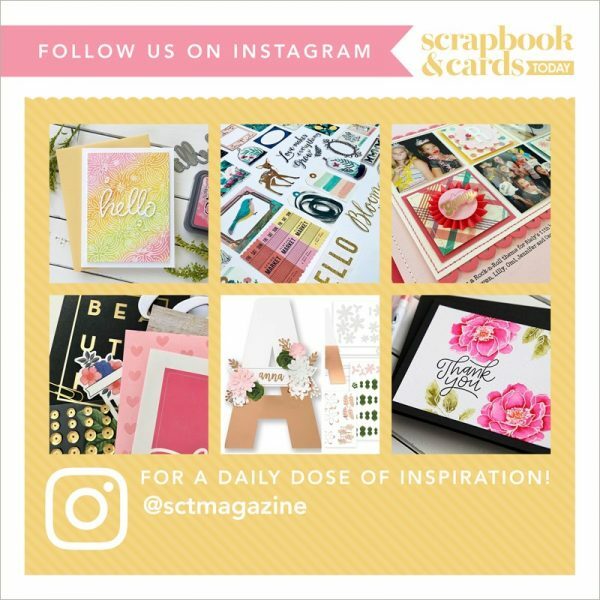 Wonderfully creative cards–thanks for the inspiration & chance at the terrific prize! I absolutely adore these cards and Lawn Fawn stamps!!! I’ve been writing out my Christmas wish list for my family and Lawn Fawn stamps are at the top of the list. This would be an amazing early Christmas present if I won them! I love everything by Lawn Fawn and these cards are simple adorable. Love the hidden tag design. I would love to win this! My favorite stamp is the little house. Lawn Fawn always has the best stamps and dies, and really adorable card designs. Love interactive cards! Love this cute Lawn Fawn stamp set!! Wow! How cool giveaway! I love frosty fairies! Thanks for the chance!! I would absolutely love the opportunity to make cards for my granddaughters from this collection! I can not get enough of the Lawn Fawn Fairies. They are so cute! I think my favorite is the sequin snowfall. I might have to get these and share with my 4 year old daughter. Lawn Fawn makes the cutest stamps. They are so creative and fun. The sequinned card is super cute – but I do love them all! Lawn Fawn rocks? These are amazing! Love the happy fairies! 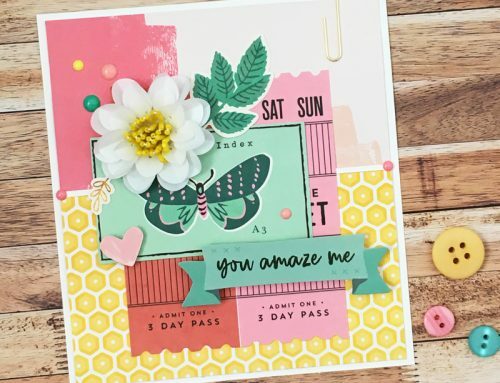 Such cute, cheerful cards and a fabulous die! Wow! This let is so cute and I would love to win!! I am crushing on the colours in Jen’s card! Beautiful! Would love to win some Lawn Fawn! Thanks for the chance to win! I tend to make one-layer cards, so Jen’s design is an inspiration to me (all of her work is!). If I am the lucky winner of the prize from Lawn Fawn, I’d be totally set to make a wonderful card with lots of life! Very fun cards! I love interactive cards. thanks for the new ideas! Love Lawn Fawn!! Thanks for a chance to win. Lawn Fawn is awesome and I am always so impressed with the cuteness of their images and the wonderful quality of the stamps!! Thanks SCT and Lawn Fawn!